As I was queueing in the post office, the line snaked past the few shelves of books for sale, and an all too familiar situation caught my eye. There were three shelves of books for children. Of these one was entirely filled with Disney franchise books, another had colouring books, and books of stickers, the third had books for older children. On this last shelf were nine different titles – all but one were by the same two celebrity authors. All were the same genre. This upset me, but perhaps not for the reasons you expect. As an author and campaigner for the rights of authors, this does frustrate me because it limits the opportunity for other authors to get their work into the hands of readers, but it’s more than that. As a children’s librarian my frustration is doubled. I have worked with children’s books and reading for over thirty years, and I have worked with many national groups supporting children’s literacy. I’ve sat on working groups looking at the development of readers, taught hundreds of teachers how to tackle reader development in their schools, and have personally taught almost a thousand children how to read or improve their reading. So you might say I know a thing or two about reading! People often ask me what the key to success in reader development is, and the single best piece of advice I can give anyone – be it parent, bookseller, librarian or teacher – is that the first important thing is choice. A wide, free, voluntary choice. I live in a small rural town and, like many other towns, we are a fifty mile round trip to a large bookshop. We are very lucky in that the community fought to keep the little bookshop open. Most small towns (and indeed many larger ones too) have no bookshop at all, and the only access to purchasable reading material is the supermarket, or the few shelves in the newsagent or post office. The few books available on these shelves do not represent a wide, free, voluntary choice because they represent what the supplier wants the retailer to sell. This limits the choice available and skews the popularity (and sales figures) of the book. In my experience I would say that roughly 30% of children coming into the primary school library choose a funny book. That’s fantastic! As a genre, funny books certainly command a decent chunk of the market share, and feature highly in the national lending figures for libraries. The most popular funny books in my library were always the ones that were a bit smarter than basic fart gags. I love a funny book and am in awe of writers who can make a reader howl with laughter. However, farts are not the only fruit. I was chatting to bookseller, Tamsin Rosewell from Kenilworth Books, and she says that the figures for children purchasing this genre of books is far lower, and says that around 5- 10 % ask for a funny book. 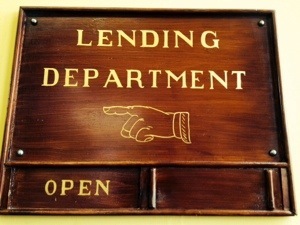 We talked about this difference between what is borrowed, and what is bought, and theorised that the reason for this may be that when it comes to ownership, and children have the choice, they lean towards a much wider variety of genres and therefore the money is more evenly spread across the board. We also talked about the mass-market approach to publishing. Most primary school age children couldn’t care less about the celebrity of the author, and were more interested in the content than the author. This situation was changed when the only books available were from celeb authors. In some of the schools where I have worked, the only authors the children knew were the ones they saw on the telly, or in the supermarket. Their free, voluntary choice had been altered by their lack of choice. They had only the illusion of choice thanks to deprivation or lack of access to other reading materials. How many adult readers realise how the big retailers and publishers are manipulating them towards the books they want to sell? Are customers of those big bookshop chains aware that publishers have paid a lot of money to have that book on a display table, and even more to be displayed in the window? Do people realise that to get on those celeb book lists the publisher has paid a vast sum? The big publishers offer huge discounts to retailers who stock their big names. I do some work in our small community bookshop, and I am stunned at how large the discounts are for some of the big celeb names. I’ve seen new children’s titles offered to us at up to 60% discount. This is very tempting for retailers because we can sell them at full price and make a tidy profit. Of course this does mean that many retailers feel they have no choice but to give up valuable shelf space to… you guessed it… the same limited pool of authors. All of this means the entire system is skewed towards a very limited pool of authors, and this ends up with that shelf in the post office with only celeb authors, and only one genre of books. These books obviously appear at the top of the bestseller lists, and this is hardly surprising given they dominate available retail space and command marketing budgets that would make most authors weep with envy. Every year the pool of authors who are heavily pushed in this way seems to get smaller and smaller. This means in turn we have nothing here that is diverse, inclusive or challenging. Go into any retailer who stocks books as a sideline – be it post office, supermarket, train station or airport – and no matter where you are in the UK you will see exactly the same authors, and exactly the same books. What a well curated choice looks like in a small bookshop. What this aggressive marketing means is that the majority of children looking at the shelves in any large supermarket or newsagent would only see a limited choice, and would probably not see anything that they can identify with. This does not mean they won’t end up owning these celeb or funny books, because well-meaning family will see these books occupying 90% of the available bookshelves in retailers and they buy them because they believe they are doing the right thing. If it’s there, it must be popular and what every child wants, right? Wrong. It’s not what the child who favours fantasy, or real-life stories, or non-fiction, or poetry, or thrillers wants. For these children the shelves may as well be empty. Reading for Pleasure has a whole range of wider benefits (as detailed in the Reading Agency’s report Reading for Pleasure and Empowerment, a report for which I was honoured to sit on the steering group). However, to gain the wider benefits of reading for pleasure it must be two things – a free voluntary choice, and a pleasure. This means that to support national literacy and to wider spread the benefits of reading for pleasure, people must have more available choice. My field is, obviously, children’s books, but I know that you will see the same limited pool of authors and genres for adult books. The books the publisher wants you to buy. The authors representing the biggest investment the publisher has made so they desperately need to claw back that huge advance. Publishing is, after all, a business and the book is not a sacred object, it is a product they need to shift in large quantities in order to help their business survive. We can’t blame a retailer for stocking what serves them the largest margin of profit either. What can be done about this? I would suggest that the only person who can actually change this situation is the shopper. Tell the retailer that you want more choice, or shop elsewhere. Seek out a retailer who is not in the sway of the super-massive publisher. It’s not easy to find an independent bookshop, but you can always use Hive and order online. Independent bookstores are more able to make independent decisions about what they stock, and they can strike deals with indie publishers and often have a far more diverse and interesting selection of books. If you’re buying books for a child as a gift, don’t be influenced by the small number of same-olds in display, ask the child who their favourite writers are and then seek professional guidance on who else writes like that. A real bookseller or librarian will be able to help you. If you don’t have one nearby, you can find them all over social media or online. If you regularly buy books, I’d suggest using the excellent services of Who Else Writes Like….? This is often also available free via the digital offerings of your public library. Which brings me neatly to the library. If you really want your child to grow up to become a lifelong reader, they will need choice. Lots of it. The library is a key factor in turning your child into an accomplished reader – precisely because of that treasure trove of choice. Where else can your child stand in the midst of hundreds of different titles and grab whatever catches their eye for free? Where else can your child try loads of different things until they work out which genre suits them? The school and public library should be like a groaning buffet table where children can try loads of different tastes and flavours to work out what they want to feast on for the rest of their lives. When they’ve decided what they like, then it’s time for ownership. Then it’s time to make sure that every penny spent on books is heading in the direction of something they ACTUALLY want, and not just something marketing departments have told them they SHOULD want. Avid and developing readers deserve to have choice, and in denying them choice we are also ignoring the fact that this should be a golden age of children’s literature. In my three decades working with children’s books, I can honestly say I have never seen books of such variety, and such a high standard, as those being published today. Books are published all the time in every genre that are dazzling, challenging, diverse, inclusive, magical and addictive. I read hundreds of books for young readers every year, and the standard in the last decade has been consistently rising. Once upon a time excellent books for children were as rare as hen’s teeth, today a dozen are published every month that I would consider future classics. So why are so many being published only to never find their way onto the shelves of bookshops or retailers? I’m afraid I don’t have an answer for that one, all I know is that I read these books and I want to recommend them but they are not in any shops so people won’t find them. Given that over 95% of the coverage of new books in the media is for adult books and hardly any attention is given to books for younger readers, it’s not really surprising people have no idea how many outstanding books miss their moment – despite many being every bit as good as books from our own childhood that are considered classics. It’s absolutely fine to have celeb books (and fart-funny books!) in the market. Many are great, and definitely deserve space on the shelves, but they don’t deserve all the space on the shelves. Choice. This is what every reading expert knows can turn a non-reader into a reader. It’s what every reader deserves. This is why I rail against the same-old-same-old stuff on the ever diminishing bookshelves in our communities – because it matters to us all. Dawn Finch is a children’s author, librarian and community bookseller. She works extensively in the field of children’s books and writes both fiction and non-fiction for children. She is former president of CILIP (the UK library and information association) and a member of the Children’s Writers and Illustrators Committee for the Society of Authors. Her most recent publications include an educational book about Hadrian’s Wall, and a book for the School Library Association about historical fiction. V for Volunteer – a dystopian reality. Four months ago I conducted an interview with the chair of a trustee group who are responsible for the museum in their small city. I was visiting the city to do some research for a book I was working on and, in the process, I got talking to the volunteers in the museum about their situation. That talk, and many emails after that visit, now make up the body of this interview. All names and locations have been anonymised as the people I spoke to did not want to cause any bad feelings, and feared that their grant applications would be refused yet again if they were found to be speaking out. I have nicknamed them V for Volunteer. The museum is in a city with a population of around 43,000 people. These 43,000 people are spread out over a large rural area with a concentration in the city. The area is right in the middle terms of deprivation with the rural areas being very poor, and the towns being better off. The museum was part funded by a trust fund established by a Victorian benefactor, but with the bulk of funding coming from the local authority. It is in an area of great archaeological and historical importance, and conserves and displays items relating to that history, as well as many items of social importance. In 2013 all local authority funding was cut from the museum, as were all council funded grants. Since then the museum has had to rely entirely on volunteers and donations from the community. Applications for grants have so far been refused, and the trust fund is only sufficient to cover heating and lighting. The volunteers have been left to try to keep the museum going. Me – First off, I have to say that you do an amazing job. The museum is wonderful and I can see from the comments in the visitor book, and the joy on the children’s faces, that this place is loved. You are the Chair of the volunteer group, how many volunteers do you have? V – (sighs) That’s a good question. When we first started this whole thing we had tons. I mean at our first meeting in the Town Hall, when they were talking about taking away the funding, we had over 600 people sign up for more information and 480 of those said that they’d volunteer regularly to help. That was back in early 2013. When we started doing this in January 2014 we had, I think, 75 volunteers. That number went down and down every week and now (April 2016) there are 13 of us left. Me – Wow! That’s a huge drop in numbers. It looks like a pretty nice place to volunteer, and everyone I’ve met is incredibly friendly. Why do you think the numbers fell off so badly? V – The trouble is that it’s not just us that needs volunteers. There are so many local things that now rely on volunteers and there’s only so much people can do. People gave all sorts of reasons for not sticking at it. Many of our volunteers found that the commitment was too great. As the numbers went down we had to ask people to do more to fill the gaps, but they couldn’t commit. Some got jobs and couldn’t spare the time. Some had other volunteering that they felt had to take priority. Many couldn’t afford to drive into town, and a good few left when they cut many of the bus routes into town. We did ask people why they quit, and the most common answer was that it was “just too much”. Most of our volunteers were over 65 and I think they just found it too tiring. It’s pretty exhausting working in a service capacity, and they no longer felt up to it. Lots of them said it “wasn’t what they expected” too. I think they all thought it was going to be a nice easy bit of a thing to do in their spare time and they were shocked at how much was expected of them. Me – How do you raise money to keep the museum going? V – We have applied for many grants, but so far have not been successful. The process of making grant applications is hugely complicated and none of us have any experience of that process and I think that has slowed everything down. We’ve had to beg friends for favours to get some help to put in these applications but each time the application has been turned down. One of the things we keep being told is that we need to be able to “prove a sustainable plan” – but how can we do that when we have no sustainable income? We are being asked to create business plans and detailed accounts, but we’ve been given no help to do that. We do raise money from the community, but they are at the limit of what we can ask for. You can’t keep going to a community for money. There are literally hundreds of groups asking the community for money and we are experiencing a good amount of obvious weariness from the community over local charitable fundraising. It’s not that they don’t care, it’s just that we’ve already asked them for so much. Me – What have been the main problems in running a service like this entirely with volunteers? V – The main problem is that we really don’t have the skills for the job. I mean, we all do our best and try to learn as much as we can, but we really don’t know what we are doing. Six of us have a background in archaeology so we know the exhibits, and can do the talks for schools, but we don’t know how to write business plans, or handle competitive tendering, or keep a boiler working. This year I’ve had to learn bricklaying because the back wall collapsed and we couldn’t afford to pay someone to fix it. If I’m honest we are keeping going with a whole bunch of guesswork and patching over the cracks. The other problem is that not all volunteers are really cut out for it. Many are unreliable and simply don’t show up, some are rude and aggressive, some hate children and think that they should be quiet at all time, or shouldn’t be in the museum at all. Most lack any kind of customer service experience. Public feedback is now saying that the museum is not the friendly place it once was, but we are completely dependent on volunteers and so we even have to keep the ones who would not make it if they were paid staff. My personal main problem is that I’m exhausted. I don’t know how much longer I can keep going like this. The museum is open 35 hours a week, and I’m working around 40 hours a week for nothing. I love this museum, and walking away would be devastating, but for my own sanity and health I can’t keep going like this. I’m afraid to stop because I know that if I do the place will start to fail. I’m already living on my savings, and my husband feels it’s all threatening our marriage and our children’s future. This isn’t fair. We shouldn’t have to do any of this. Me – That rather brings us to the future. What do you see in the future for the museum? V – (another very big sigh) Awful question. When I’m asked that in public I have this smiling version of the story and I keep the positive outlook but, as you’re going to make this anonymous, I’ll tell you the truth. I don’t think that there is a future for the museum. Without public funding of some form we can’t keep going like this. We have been allowed to sell some items from our archive and that gave us a little slush fund. I reckon we are six months away from having to charge admission, and charge a lot more schools for visits. The risk around doing that is huge because we know how tight money is in schools and so the move towards charging may well be the final coffin nail. Sad fact is that we can’t afford to not charge. We are between a rock and a hard place. Behind the scenes we are getting really desperate now, and if I’m honest we don’t know how we are going to open this winter because fuel prices have shot up and the dwindling trust fund can’t take much more. Our heating bill alone could be the straw that breaks the camel’s back. The thing that really makes me want to spit blood is that we all know that if the museum fails, the council will make out like it’s our fault. They’ve lied to us all the way down the line by telling us we’d have support and guidance through this process. Now I can’t even get a reply when I call for help and I no longer even know who is supposed to be responsible for being our support contact. Last year our treasurer had a heart attack and we didn’t have anyone to take her place in time for the accounts to be processed. I contacted the council asking for help and I was passed from pillar to post trying to get someone to help. No one ever did. In the end we had to beg a friend of a friend to do them. We’ve just been cut adrift. Me – What would you say to other groups taking on tasks like this? V – Honestly? Don’t do it. We all started with such high hopes and we all wanted to save the museum and make a difference, but it’s been a huge mistake. Don’t get me wrong, I love working in and for the museum and I look at the faces of the people who come in here and for a bit it all seems worth it. Then I’m up at 3am because the decrepit alarm has gone off again, or I’m up to my elbows in the toilet because the old cistern can’t handle tissue, or I’m rallying people to mop up a flood from another frozen pipe. It’s hard to remember how much you love museums and the difference they make when you’re on your knees scrubbing up a spilt drink or consoling another unpaid colleague who has been shouted at by a member of the public. We know that the roof needs fixing, but we all pretend not to think about it. All of this and we all daily work with the heavy knowledge that we haven’t really saved the museum at all, we’ve just put off the inevitable for a few years. Unless some miraculous benefactor steps in and gives us a few million, we won’t make it to the end of the decade. If the museum goes, it will be one more thing gone in our community. If I had to give people advice I’d say that time is better spent fighting to keep funding and paid staff. Do whatever you can, fight and fight and fight to keep that funding in place. Me – It’s not an easy question, but I have to ask it. Why do you do it? Why do you think the museum should be saved? V – We’ve already lost so much, the library is under threat and the buses have gone so that threatens the market. The youth club lost funding last year and so did five other youth projects. Pretty soon there will be nothing left to call this a community, it will just be a place with nothing left in it to give anyone culture or pleasure. The only people who will have any kind of pleasure or culture left will be the ones who can afford to pay for it. We all know the council should be funding community resources, and we all know the huge benefit to any community that a museum represents, but no one seems to listen. A lively and thriving community benefits everyone. It makes for a better place to live and so people want to live there. Those people pay council tax and national taxes and they work hard and deserve to see some kind of return in their towns. What’s the point in working our whole lives if we have nothing left in our communities to give life more purpose and meaning? How can we hold a community together if there is nothing left to bring people together? I will leave this interview with that extremely important point – how can we hold any of our communities together without our community resources? How can we possibly expect people to feel valued if an “everything must go” price is put on their community resources? How can we expect our communities, and the individuals in them, to have a sense of cohesion if all we do is drive them further apart? Museums, libraries, art galleries, youth centres, parks, playground, paddling pools, drop-in centres, housebound services, day centres, community centres… these are the glue that binds our communities. These are the things that bring people together and create that sense of community that makes for safer and better lives for all. The current austerity cuts that are specifically directed at services like this represent an attack on the links in the chains that unite our communities. These cuts are eroding our culture and society and we, as citizens, are expected to do all the work to keep them going. Those of us who volunteer all the time are expected to carry this entire burden on our weakening shoulders. Good people are being lied to, and then they are expected to take all the responsibility for trying to keep their essential community resources going. It is up to us all to unite to stop that erosion. This should not be a battleground of individual skirmishes, this is a war on social cohesion and on our culture, and we need to join together to raise our voices to stop it before we have lost everything that made our country great. Write to your MP, sign as many petitions as you can find, speak out against the destruction of our communities, make your voices heard for all of those who don’t have a voice, rally your communities so that they can see what they are losing, make it clear that losing these services is not an option. Above all, don’t let the desperate struggle to protect our community services and resources drive us further apart. Join your community with others, link to other groups and present a united and public front. Divided our voices are hard to hear, united we are impossible to ignore. CILIP have a national campaign to protect our libraries and support the essential work they do to raise national literacy levels and develop our communities. Please support the campaign for your legal right to a library provision here. Columbus Metropolitan Library – treasure and tranquillity. One of the joys of attending international conferences, and being CILIP President, is that I’m lucky enough to visit some superb libraries. This year (2016) the location for the World Library and Information Congress is Columbus, Ohio. In June 2016 the Columbus Metropolitan Library reopened after a sixteen month closure for a refurb, and so I stopped by for a look around. Actually refurb is too small a word for the extraordinary work that has gone on at Columbus Metropolitan. The library has benefitted from an investment of 35 million dollars, and on visiting it is immediately apparent where this money has been spent. You enter the library through the grand and monumental entrance of the 1907 Carnegie building. The original features of this building have been preserved, and now contain art displays within the Carnegie Gallery space. On the front steps of this building, carved in stone, is the legend “My treasures are within” – what better statement could welcome us to a library? Walking through this classical space, under some dazzling art, you enter the main atrium of the library. The new atrium has been opened up with high windows to let natural light flood in making this one of the most dramatically impressive library spaces that I have ever been in. Immediately to your right is the new children’s library, and this is no tucked away apologetic space – this is a large and bright space beautifully fitted out for children. I love the fact that there is space for reading, space for storytelling and space for looking things up…in fact there is a space for whatever a child’s imagination reaches out for. You can see the planning process here, and it really has children at the heart of it. The atrium leads through to a coffee shop and then out to the newly purchased and landscaped garden area, which in turn leads in to the wonderful Topiary Garden. If you head up the stairs (or the elevators) the first thing you’ll find is the huge reading room. This is another cathedral of natural light with towering walls of glass that overlook the park. As I was wandering around I bumped into Pat Losinski, the CEO of the library. I must say that I was most impressed to find the CEO walking around and chatting to library users. He is justifiably proud of what they have achieved here, and what they are working on with the other Columbus libraries. They have already fully refurbished four libraries, and within the next two years the remaining six in the project will be opened. Pat told me how much value the people of Columbus place on their libraries, and how important literacy is to a successful city, and a successful country. One thing really struck me about the Columbus Met Library – the overwhelming feeling of calm that the space exudes. The Columbus Met is not an echoing modern edifice, but is in fact a blissfully quiet space. This does not feel forced and stifling, it actually feels genuinely refreshing and spiritually uplifting to enter. The place was very busy as I walked around, but the design seems to deaden the noise and allows people to keep that peaceful sense of calm without feeling restricted. No one is telling people to shush, and it is clear that library users are quiet because that’s how they want to be, and that’s how they want the library to be. I know that there is a tendency these days to voice the opinion that silence is an old-fashioned concept for libraries, but I feel that we give up our quiet public spaces at our peril. There are plenty of places in our communities in which to be noisy, but remarkably few places that are quiet havens. The world is a noisy and demanding place, and libraries can offer a peaceful balance to this. Where else can we go for quiet study, reading or just to sit and ease our mental clutter? A free and open space where we can sit and gather our thoughts is hugely beneficial to our mental health and wellbeing, and I do think that it is important that we don’t forget that. Columbus Metropolitan Library is a remarkable space, and I think that Pat Losinski said it best of all when I complimented him on his beautiful library. FOR MORE INFORMATION ABOUT THE LIBRARIES OF COLUMBUS, OHIO – CLICK HERE. National Libraries Day – get in! It hardly seems like a year since the last one, but here it is again – Saturday Feb 6th is National Libraries Day! What a year its been. Despite huge evidence of the beneficial contributions that libraries and librarians make to their communities, we are still witnessing the decimation of our library service. The library campaigners have been working flat out to try to save the libraries in their communities, and we owe them a great debt of gratitude for all their hard work. National Libraries day gives us the opportunity to show our appreciation for our libraries and the people who work in, and for them. National Libraries Day is a grassroots celebration led by library staff and library users. It is supported by CILIP and a coalition of leading literacy, reading, library and education organisations including the Reading Agency, the School Library Association and the Society of Chief Librarians, top authors, and you! NLD is an opportunity for everyone to step up and show just what their library means to them, and here are some ideas for how you can get involved too. It doesn’t matter where you are in the country, there is a way for you to show that you value our libraries and librarians, and that you don’t want to imagine a future without them. Lend your talents – Write or create something – could you find the time to write a blog, letter or create a piece of work about what libraries mean to you? Visit a library – If you can get out to a library, take some photos and show us where you are. Show us what is interesting and unique about your library. Find an event near you – get out and get into your local libraries (with our without chocolates!). Tell them who you are and let them know that you support them. The NLD map on the website will show you where the registered events are. Oh, and don’t forget the Elmer the Elephant competition! As you will still feeling all passionate and full of library love – join us when we lobby Parliament to save our libraries. This event will take place on February 9th and you can find all of the details on the Speak Up For Libraries website. 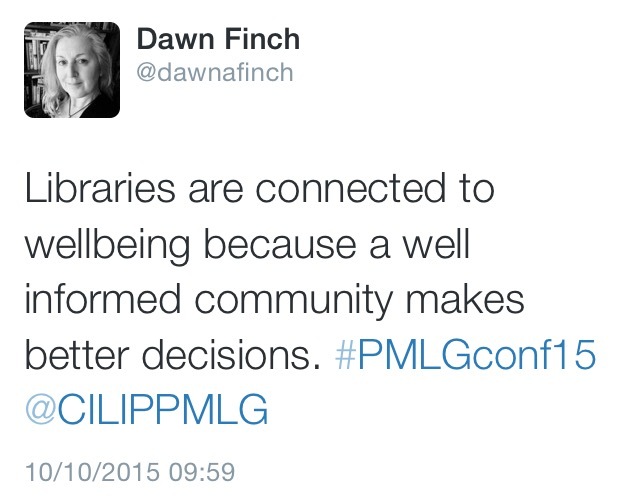 The CILIP Public and Mobile Libraries group this year hosted their first conference and the theme of the two day event was the contribution that libraries make to the wellbeing of their communities. The conference had a superbly well-timed focus as the link between reading and wellbeing has never been better documented. Over the past few years we have seen the publication of many robust reports that prove that reading and libraries are vital to the wellbeing and mental health of their communities. Over the two day event we heard from many speakers, all of whom had a direct involvement in the wellbeing agenda and how this relates to libraries. First up we heard from Paul Blantern, of the Sieghart Libraries Taskforce, who talked about the need for a national framework for libraries so that we could have a “consistent library offer” right across the country. During his talk he drew attention to the fact that libraries are often seen as the easy way to make cuts, but this will reflect upon the other services offered. He also talked about why libraries are important, what they offer to their communities, and how the Taskforce hopes to protect them. One of the most interesting speakers of the day was Brian Ashley from from Arts Council England who talked about the financial impact of the library contribution to health and wellbeing. Brian’s talk was drawn from the Arts Council commissioned report “The Health and Wellbeing Benefits of Public Libraries”. His talk was filled with some astonishing data such as the fact that library users are more likely to report better health, and less likely to take trivial issues to a doctor. This relates to a saving of an estimated £25m a year to the NHS. Extraordinary figures, and it seems pure folly that this is not taken into account by Government. Mike Brook talked about the success of a Library Mental Health festival and he stressed the importance of the safe haven that a library provides for anyone with mental health issues. The need for this sort of space in our communities can’t be underestimated. He also talked about how to market and advertise the event so that it reached the right people. The event also provided a number of workshops to help librarians support their communities in ways that they might not have previously considered. I chose to go to Jacquie Widdowson’s workshop on marketing and social media – an essential skill for the 21st Century Librarian! She gave invaluable advice on how to reach more people and how to extend the library welcome to people who might not have previously considered the library as their kind of space. I was particularly moved by the workshop that I attended run by Julie Walker. Julie is a Bibliotherapist who works with Kirklees Library (and others) and she talked about what bibliotherapy is and how it helps people. She explained how it supports vulnerable people and showed us just how powerful the right text is at the right time. During the workshop she handed out short extracts of carefully chosen poems and asked if people would like to read them aloud. The emotions that bounced around the room made for an amazing demonstration of just how powerful this service is. We also heard talks about how Staffordshire is supporting the mental health and wellbeing agenda in their libraries, and Carol Brooks talked about how important personal resilience is. Alan Medway gave a presentation about Staffs libraries and their decision to support issues such as dementia via their library provision. The whole event was filled with inspiring and useful talks and was a great success. My own talk was about the powerful positive impact that reading for pleasure can have on all of our lives, and how libraries can fit in with that. You can download my presentation below, and please drop me a line if you would like to ask me anything about it, or would like me to come and speak at your event. Libraries offer a unique service as they are the trusted and safe spaces that exist in our communities. In order to successfully fulfill this agenda we require something very special in our communities – a professional librarian who is trusted, knowledgeable and reliable. Libraries save lives, let’s make sure that everyone is aware of that, and that people are aware of exactly how much we will suffer as a society if we lose them. 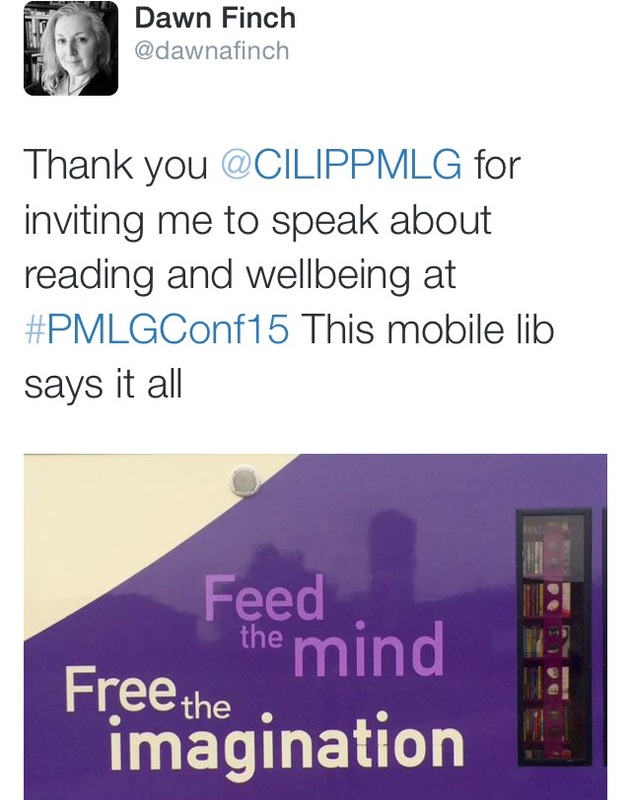 A selection of documents referred to during the 2015 CILIP Public and Mobile Libraries Conference. Libraries – “isn’t it all on the Internet?” NO! The reaction to the publication of the Sieghart Report highlighted a number of important issues about public libraries, but one above all others – politicians clearly have absolutely no idea at all what librarians do and what libraries are for. Sadly there still exists the antiquated and naive view that libraries are only required for people who want to borrow a book. This is utter nonsense and deserves to be challenged. That is as narrow a view as suggesting that trains are only for delivering people to work. So, for all of those people who still haven’t bothered to find out what libraries and librarians actually do, let’s have a closer look at that. Let’s look at a day in our imaginary library. Our imagined library is in a rural community of around 7000 people, mainly young families and older people. The community is thirty miles from the nearest big city and has an erratic train link and a limited bus service. There is no community centre and no Citizens Advice Bureau. The council offices are out of town, as is the hospital and minor injuries clinic, and other local provisions have been cut. Even though this is an imagined community it is one that is mirrored all over the country. One of the things that our imaginary town does have, is a library. Built with philanthropic money at the turn of the 20th Century it is in the market square, right in the middle of the town in a place designed to be accessible for all. The people of our community rely on the library for many things. A young mother needs helps filling in the forms to apply for school for her children because she has no one at home to help her. She goes to the library and the librarian helps her to find the forms online and fill them in so that her child can go to school. A couple need help finding out what services or help is available for their elderly parents. They go to the library and the librarian gives them information about books on wheels, local care provision and what benefits they might apply for. An elderly person living alone faces another winter in isolation. She goes to the library and the librarian helps her to apply for winter fuel allowance online, and then she sorts out a volunteer to pop around with books and shopping once a week. A young couple have moved into the area and do not know anyone. They join the library and the librarian tells them all about local childcare, local clubs and facilities. They borrow books and leaflets about the area and even join local reading groups. A man is told by his doctor that his vision is failing. He talks to his librarian and she helps him to register online for services for visual impairment and, twice a week, she helps him to choose audio books by reading the boxes out to him. She even saves audio books for him that she knows he will like and she knows which ones he has already had. 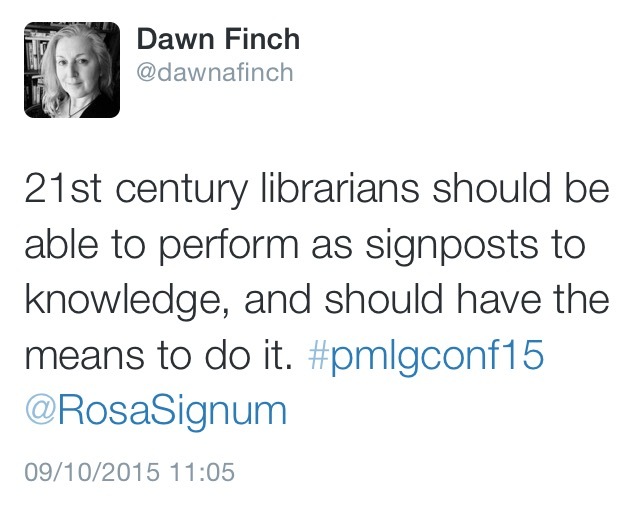 We need to shake off the idea that all libraries are fit for is to borrow a book. Right from their inception that is not what libraries were for – they were for educating the people and providing information for those who would not have otherwise had access to it. I’m guessing that not all of the political parties are that keen on providing information to the masses and educating adults for free, because I can’t think of any other reason why they would not be supporting libraries and the professionals who run them. This is not an old fashioned or twee idea of protecting an antiquated institution, but rather a 21st century idea to ensure that each and every community has access to the information it needs. Look at what we’ve done in our imagined community and see the bigger picture. The mother now has a place for her child in school, thus saving money and time for local authorities and for the school board. The couple have found support for their elderly parents and this means that they are able to stay in their home for a while longer thus saving the social services tens of thousands of pounds. The virtually housebound elderly lady now has visitors and is less isolated and has a winter fuel payment and is less likely to succumb to illness associated with age and cold. The young couple feel more engaged in their community and are more likely to contribute to it and to stay within it. The visually impaired man is now able to function in his community again and is less likely to have to rely on expensive care services. Most of these people have also borrowed books (or audio books, or dvds, or cds, or leaflets….) but that’s not why they went there in the first place. They went there because they needed answers to questions that they did not know how to ask. The snobby response to this would be “they can look it up on the internet can’t they?” Can they? What if you live in a rural community where you don’t have internet access or phone signal? What if you don’t know exactly what question to ask? What if you do ask the internet, and it gives you a million hits and you don’t know which one to trust? This is what libraries are for, and what professional librarians are for. It is monumentally short-sighted to cut away one of the most important services in a community without ever having a clear picture of what they do in the first place, but that is exactly what is happening all over the country. Librarians are being replaced with inexperienced volunteers who, with the best will in the world, will never be able to provide the service that a trained professional can. Libraries are either being closed or their hours are cut so that they are only able to provide an erratic and unreliable service. Schools have little or no library provision and more often than not there is no trained professional to support their reading progression. The areas worst hit seem to be the ones that need the library the most; poor areas and ones in rural communities. The Sieghart Report has some valuable ideas in it but none of this will mean anything if the various political parties do not act upon it. Join the campaign for libraries and make sure that you and your family have access to something that will ultimately give you, and your entire community, a better standard of living – a library with a librarian. 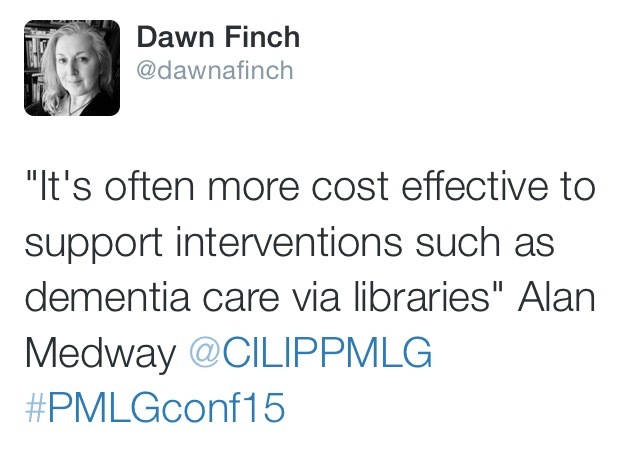 (@dawnafinch) author and children’s library and literacy consultant. A Primary School Librarian’s List Of 125 Books That A Child Might Want To Read. The publication of yet another list of the “top 100 books” that children “should” read in primary school raised an extensive discussion on social media about the books chosen. Whilst the books on the list are undeniably classics, and books of quality, do they actually represent the kind of books that will nurture a love of reading in children, or is this instead a list of national curriculum and Amazon favourites? To challenge that list I give you the list of an experienced primary school librarian. These books are the ones that I know have created delight in young readers and have been loved with a passion. You might not agree with all my choices (and some of them are not to my personal tastes) but these have all been loved by REAL CHILDREN who devoured them and wanted more after finishing them. These are not only books that children have enjoyed, but also ones that parents have enjoyed sharing with them. Sharing books aloud is an important way to foster a love of books and reading in a child, and no one is ever too old to hear a story. The list progresses roughly through developmental stages, but is by no means prescriptive, and it is not in order of preference. “Top books” charts are far too subjective, and the books on this list are all great. If you need more guidance and advice on children’s reading there really is only one person to seek out – a school librarian. These titles are all for primary age children and (with one notable exception in William Grill’s Shackleton) are all fiction titles. Just for clarification, I don’t believe that any of these books “should” be read by all children, that’s not how a love of reading works. This is list of great books that I know children have loved and, if any of them suit the tastes of children you know, then they too might read them and enjoy them. If they want to. Your list might be different, and I’d love to know what you’d recommend – please add your titles to the comments. I’m sure there are many titles that you feel should be added, so go ahead! Please do add newer books that you know have worked, and please remember to credit all creators of the work, and do post links to their websites where possible. I’ll aim to keep the comments open so that we can keep adding to it and share the list as a resource. Every one of these books have two things in common: they are beautiful stories, and children love them. All in all enjoyment of reading is the most important thing. It’s all about what children want to read and it should never be about just ticking off a list of books that adults think children “should” read. Hopefully you will enjoy these books too. Note – almost all of the authors on this list have a whole body of extraordinary work in their catalogues, and many of these books have sequels that are equally worth reading. Please do take the time to look up the other work of these authors. Extra footnote– I mean no offence to any of my writer friends if I’ve left off your work! If this was a list of all of the books that I love for primary age children, I would need to buy more webspace as it would be hundreds of pages long.